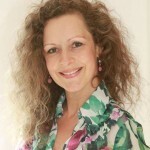 is a Transformative Coach, Leadership Trainer and Health & Wellbeing Consultant. Nyali has worked internationally for over 25 years, with a diverse range of individuals, businesses and cultures. Her experience includes working with leaders in varied fields, such as in Athletics, Business, Health Industries, Performing Arts and Professional Speakers . In 2012 Nyali was thrilled to be invited to coach the Kenyan Olympic Team on Empowerment, Confidence Building and Culture Change. Testimonial from their team: Bruce Kilulai, is “Nyali is what we’ve always needed and never had”. Nyali is an experienced Coach who has run many Wellbeing programmes to improve the psychological, emotional and physical health of individuals and organisations.